Cinnamon was formed in 1993. Cinnamon´s music is hard to describe, you can hear echoes of Northern Soul, Kraftwerk as well as their European heritage with film, art and political turmoil.Cinnamon and their musical collective make music with visions beyond the year 2000. 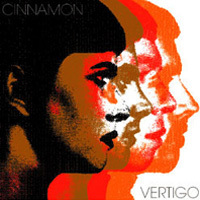 Cinnamon does contemporary music perfumed with nostalgia.The twosome´s fondness for ´60s spy movies melt brilliantly with Diesen´s breathy voice. our favourite cookies are called "cinnamon-stars": as the name easily suggests they taste of cinnamon and look like stars. 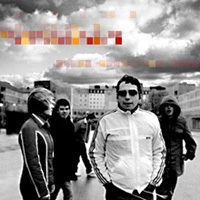 what a perfect combination: looking like stars and tasting sweet and cinnamon-ish.now you will have the chance to discover even sweeter stars: a swedish band with music consisting of every-thing that P!O!P!-music can offer - and they do have a more than apt and brilliant name: cinnamon. 3 did you think i would ever let you go?